COMMENTS: This is the perfect size loaf mold to test new recipes, and new designs. I get 4 bars of soap from each batch. COMMENTS: TO DO YOUR TEST BATCH THIS IS THE PERFECT SIZE. IS A BIT TALLER THAN THE REGULAR SILICONE MOLDS BUT THATS NOT AN ISSUES. COMMENTS: I love using this small loaf when trying out new things. Unmolds easily. COMMENTS: This is perfect when I need just 4 bars. I got this mold in a kit and I use it all the time. It is great for small special orders. COMMENTS: Perfect for small batches! Just what I needed! COMMENTS: I love this mold! I have been making MP 8 oz. (two 4 oz. bars) most of the time, so I can test different FOs and make different designs. This holds 16 oz. perfectly though and is so easy to unmold. I filled it to the top once, 20 oz., I think.....and it was hard to unmold. Just popped it in the freezer for 15 min. and I was able to unmold easily. Love the silicone and cleaning is a breeze. Thinking about ordering another one. COMMENTS: I am so glad I finally broke down and bought this. It makes it so much easier to make 1lb batches of "Gift Soaps" for my friends and family instead of having to make a whole batch. It is also useful for testing new fragrances and colors to see how they will behave. That way if something doesn't perform, you don't have a huge batch of wasted soap! Wish I would have found this sooner when I was still testing and developing my product line! The only negative is that soap is fairly sticky to unmold if you don't use sodium lactate. COMMENTS: Perfect size for a small batch. A real life saver, especially if you're just trying out a new recipe or fragrance or if you're short a couple of bars for an order. • don't have to line!!! "Glad to see the smaller size"
COMMENTS: When starting out with cold process soap, you may not want to start out with such a large batch. This is the perfect size....I can't wait to use it. COMMENTS: Handy size for half batch trials of new additives. "Good size mold for small batch soap"
COMMENTS: I love using this mold for small batch of soap. I used it to make melt and pour and cold process soaps and they both turned out great. It will makes 4 to 5 bars ( about 1" thick). "Silicone Loaf Mold Short (1504)"
COMMENTS: This is perfect for test batches and small batches. Make 4 cut bars for me. I had no bowing of the walls when filled. Made smooth straight sided soap for me. It would be great if mold was stamped with fluid ounces just for convenience and finishing touch of mold. COMMENTS: I love this for small batches of soap. Definitely a good purchase. Seems sturdy and releases easily. COMMENTS: I have been making an 8 inch loaf mold and it was just too big. Just starting out in this business, in my hometown, no store front nor website..so making smaller loafs is ideal! Same quality as the larger mold but it's hard selling 8 of the same type of bars. Maybe once word gets around, maybe the amounts will need to increase back to my other mold size..but for now. I love this smaller option! COMMENTS: Nice 1lb batch mold. Makes 3.5 bars when I use my cutter. COMMENTS: I love this little guy! Perfect for testing out new FO and trying new designs. Will get another for sure. "My go to small batch mold"
COMMENTS: I love this little mold! It makes 4 one inch bars and releases easily. The silicone is thick although a bit thinner on the bottom. I like that you can see through it enough to see how your colors are mixing. Great mold for test batches. COMMENTS: Size just right for new scent testing. COMMENTS: I like to use this small soap mold to do test batches of new fragrances I usually cut these into about 4 1 inch soaps. "Perfect for small batch soap"
COMMENTS: I like to keep my soap fresh, so I make one of these loaves and cut it into 4 chunks to sell. Works great, I can keep a good variety without keeping a lot of soap base on hand if I want. Good size for selling. COMMENTS: I recently purchased a bunch of sample size 1 oz fragrance oils and needed a mold that would allow me to use them. This mold is perfect for testing out new fragrances or recipes or even designs. It stands alone and doesn't need any side supports. The silicone is thick and sturdy but still easy enough to unmold and cleans up with ease. This is a staple for any soapmaker. COMMENTS: This little mold is just right for the extra soap batter I have sometimes. COMMENTS: This mold is perfect if you need to make a quick loaf of melt and pour soap! You should be able to cut a least 4 slices from the made loaf. This is a silicone mold and the loaf comes out very easily! If you are just starting out or a long time soaper this the perfect mold to have in your supplies. Great price! 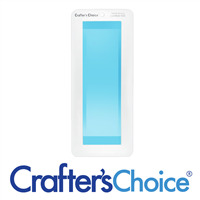 • Great price for a silicone mold. "Short (Small) Loaf Silicone Mold"
COMMENTS: This silicone mold is nice to use for my test batches. Convenient, small size. COMMENTS: These molds are very sturdy and a good size for small loafs. Would buy again! Good quality. "Perfect mold for test batches"
COMMENTS: This is a perfect mold for doing tests batches. It makes 4 one inch rectangular bars. Very sturdy, no need to reinforce. Releases soap easily. COMMENTS: This is a nice little mold. I like it, but I sometimes have a little difficulty getting the soap out of the mold. This is a perfect size for test batches! COMMENTS: This mold is my favorite for making test batches. COMMENTS: Love using this to test out new colors or scent. COMMENTS: I bought two of these molds for testing recipes, before making a full batch. They are very sturdy and do not bow. Fragrance and color wash out easily. They hold up perfectly during oven process. COMMENTS: This is exactly what I was looking for. It allows me to make small test batches - love it. COMMENTS: This mold is the perfect size for testing new colors or new fragrances. I put my soap in the freezer for a bit and it easily slides right out of the mold. I love this mold for trying new things so that if things don't go according to plan I haven't wasted an entire batch! COMMENTS: I am soo happy with this little easy to use mold! I use it for 1# batches. Easy to unmold & clean, what's not to love! ?! • easy to unmold & clean. COMMENTS: I love the sturdiness of this mold so much that I now have four of these! COMMENTS: I use this for a soap I'm trying out - don't want to make a 40 oz loaf that might not sell. It's great - will be getting another. COMMENTS: Nice to use to try out recipes using a loaf mold. Can half it to have 4 bars verses 8. "Nice sturdy mold - holds 22.5 fluid ounces"
COMMENTS: Great small loaf mold for easy testing. Love it. Very Sturdy!!!! COMMENTS: Great size for making small batches of soap. The sides are quite stiff. This makes the soap a little bit difficult to remove but also is why the molds do not bow out for me. COMMENTS: I love this size for trying new soap recipes or experimenting with new fragrance oils. "Great for making small batch"
COMMENTS: Love this mold to make test batch! The mold is made of sturdy material so I expect the mold to last a long time! COMMENTS: I am liking this little mold. I am working on teaching a class and love the size of this mold. Everyone will get 4 bars of soap to take home. Contructed very well and the perfect size. COMMENTS: As with all of WSP silicone molds. I LOVE IT! I leave it sitting next to my pouring station and when I have a little bit of a batch, I just pour it into this mold. When the mold is full, I cut it into little samples sizes. It is really fun because each little bar is totally different. I never know what beautiful designs are going to come out of each loaf. I think I own almost each and every one they sell. Yes! I definitely need an intervention! What can I say? COMMENTS: This 1 lb. mold is a bit trickier to unmold than the 3 lb. mold. However, the silicone is nice as are the straight edges. You will get EXACTLY 4 1" slices though, so depending on whether or not you like the end pieces. I filled mine to 20 ounces and preferred that height to just using 16 ounces. COMMENTS: I love this little mold for testing new FOs or practicing different techniques. Makes 4 nice sized bars. COMMENTS: This mold needs some support on the sides. My soap bulges out on the sides. I do like the size for a test batch but I can't put the loaf in my cutter to cut because the sides are too wide. All my other loaf type molds do not cause this problem with my cutter. I does unmold fine if I put it into the freezer first. COMMENTS: I think this product is awesome!!! My cp soap come out nice and easy and all together. Also I like,the size for when I don't want to make alot of soap. COMMENTS: This mold is the perfect size for 4 bars of soap. It's also good for pouring any extra soap and using to make embeds. The bottom is very thin so be careful removing your soap from the mold. "Nice mold for small batches"
COMMENTS: I tried using drawer containers as a substitute mold, but it never worked out for me especially as they sometimes have a hump on the bottom. I didn't want to make a large loaf, so this one is perfect for me. If you fill it right to the top it holds 20 oz but I find it difficult to unmold the soap when it's filled to the top so I fill with 19.6 oz. I cut the loaf into 4 large bars. COMMENTS: I love this little mold! Perfect for test batches! Am going to purchase another one. I used 14 oz of oils for this mold and it didn't come to the top so I would suggest using at least 15 oz. COMMENTS: Shows differently in picture, Is still very usable just very thin bottomed. COMMENTS: I like to use this mold to test new recipes, designs and small special orders...but it is not as sturdy as it's larger version (44 oz. size). The sides are the same thickness as the larger version but the botton is much thinner than the sides and if the mold needs to be moved after pouring, it bows considerably and the soap gets messed up. Sliding it across the countertop is the only way to move it without distrubing the soap...not always feasible. COMMENTS: Love these molds for making and testing small batches. Very easy release. COMMENTS: Wow! What can I say? I am definitely NOT a person who routinely needs a 5lb mold for my soapmaking, but I like to experiment with different formulations. So this is the perfect size for trial batches. "Just enough to experiment with!" COMMENTS: I love this small little mold. It is just large enough to experiment with, use only when there is a need for about 4 pieces of soap and you don't want to use individual molds, throw all the scraps in and make something else. Sides are strong and doesn't bow, (although the bottom is thinner, it hasn't ripped) just the perfect size. COMMENTS: This little guy is a life saver! I use this 1504 mold to hold extra soap batter. I hate running around like a mad person trying to find something, anything to hold my extra batter. Using 1504 mold saves your nerves for sure! COMMENTS: I love this mold for intricate designs with MP soap- at least if I screw up, it not a huge waste :) Crafters Choice Silicone Molds are great quality- not like some cheap, flimsy molds I have ordered on the internet. "Why didn't I get this sooner!!" 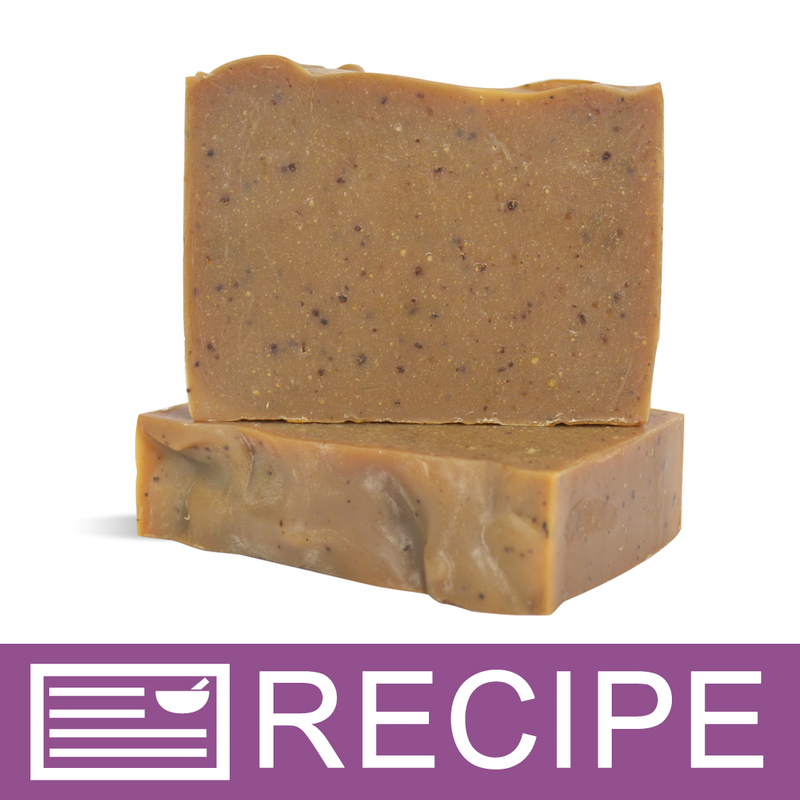 COMMENTS: I am very new to soap making so I like testing my formulas in mini batches. I was using a cardboard box, but it was difficult to remove the plastic liner I would use. This is fantastic!!!!! Great size easy to remove soap and more uniform cuts. I only wished I had ordered two!! COMMENTS: Perfect to hold soap made with 16 oz of oils. Easily flexible. 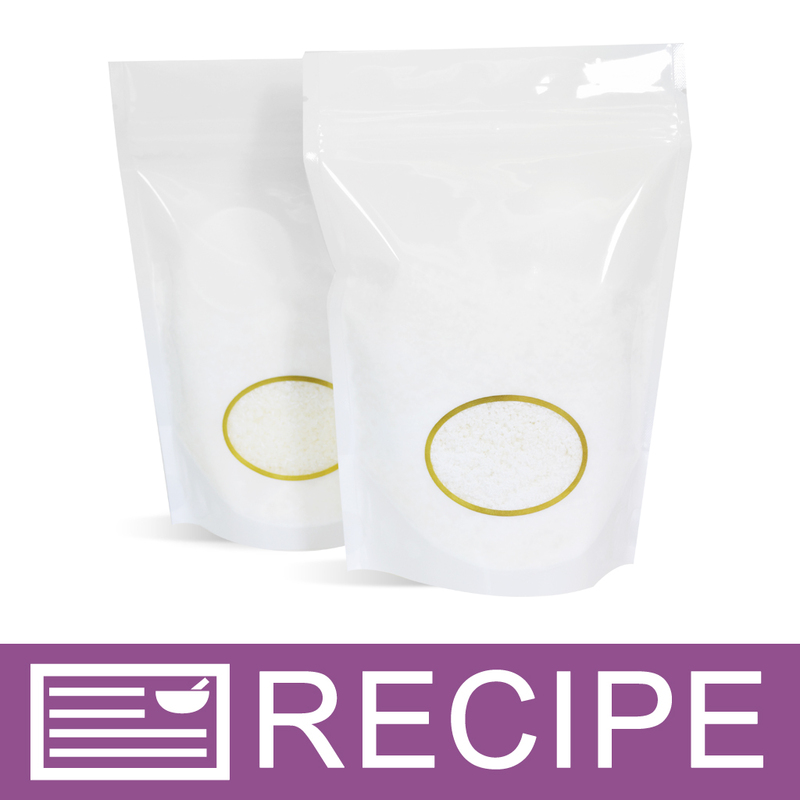 Great for small batches or test batches. COMMENTS: I use this mold a lot for test batches and the soap comes out easily and cleanly. I would recommend! COMMENTS: I love silicone molds, they are great so easy to use, don't stick, don't break, or crack no need to line them like you need to with a wooden mold. COMMENTS: This is my first attempt to soap making. I choose this mold to start out with because I didn't want a lot of batches of soap sitting around. This is the perfect little mold for beginners or if you just want a few bars of soap. Very easy to use and it unmolded nicely. COMMENTS: This product is great for whipping up small batches of soap for testing or personal use. I have used it over a dozen times and it works like the first time each time. COMMENTS: This is the perfect mold to make a smaller or test batch of soap with. Need to buy a few more because one is just not enough when you are wanting to make a bunch of new test batches. COMMENTS: Perfect for small test batches and practice runs. COMMENTS: I bought three of these molds for testing small batches. They are just what I expected. Perfect. COMMENTS: Bought this as a first time soap maker. Makes about 4 bars. Very easy to get bars out !! COMMENTS: This is such a nice little mold I use it to test fragrance oils and also when I have a little extra soap I throw it in this mold and I get a bar or two for myself. I would definitely buy this again. "Perfect size for small batch"
COMMENTS: This 1 lb. mold is perfect to try out new colors or scents. I had a bit of trouble unmolding the first couple times, but I got the hang of it pretty quickly. I will use this for rebatch purposes. COMMENTS: Great for overflow soap batter. Perfect for trying out a new recipe. • Size & ease of release. COMMENTS: Perfect for small projects or testing fragrances. Holds well and does not buckle on the sides. "The best mold for small quantity test batches "
"Great for Making and Testing Batches"
COMMENTS: I love this mold. I am able to do a small test batch. "Love the size, hate the bottom"
COMMENTS: I love the size of this mold but the bottom is incredibly thin. I inadvertently poked my fingernail through it, it was so thin. Not impressed, but I will buy another anyway because I love the size. "Nice size to do test samples"
COMMENTS: This is a nice sized mold to do soap test samples so you won't waste a lot of product testing new recipes. I would suggest using sodium lactate to help release the soap from the mold though. 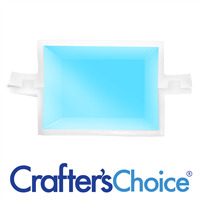 COMMENTS: This is one of the first crafter's choice molds that I purchased - love the size. I ordered 2 other molds as well but have not used them yet, I am sure I will be pleased with them as well. COMMENTS: I have two of these and I love them. They are great for doing test batches or soap challenges. "The perfect mold for experimenting!" COMMENTS: This is the best mold I've found for trying out new colorants and fragrances! If I don't like the soap it's no big deal because I've not wasted a large amount of ingredients. If the soap turns out great I have 4 bars the perfect size to package and sale. This mold is exactly what I've been looking for! COMMENTS: Being a small mold this is easy to handle and stable. Released M&P well. COMMENTS: I love this 1lb mold. It is perfect for making smaller custom batches! "Wonderful for Small Test Batches"
COMMENTS: I use this to make facial soap and small test batch CP body soap. When I see the success, I go ahead and make another 40 oz batch with other silicone loaf I bought from here. COMMENTS: This is the perfect size to try new scents you have never tried before.This way you can try them and see how the behave. This mold makes 4 4oz bars. I am very happy with this mold. 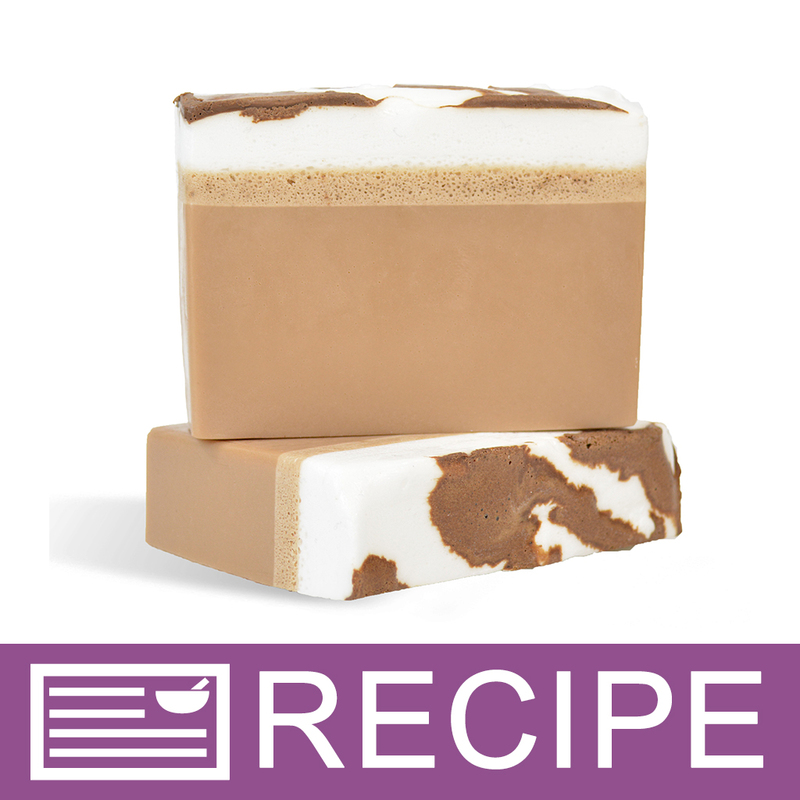 COMMENTS: Perfect for test batches or leftover soap that won't fit into individual molds. COMMENTS: Love this mini loaf mold for doing small 3 bar test batches. I can try out new fragrances, color, and techniques without using up pounds of my supplies. Very sturdy and well made. COMMENTS: Great size for a beginner like myself. Releases easily. "I am in love with this lil joker!" COMMENTS: I love this mold. It's great for test batches when I'm trying out a new fragrance oil or color. The soap slips right out and it's so easy to clean. It's perfect. I will be ordering more of these! • Soap slips right out. COMMENTS: This loaf mold is the perfect size for me and what i am doing with my soaps. I own an oline shop and dont make huge batches at a time so this is perfect becuase i can make a small batch as it is ordered. COMMENTS: Love this sturdy mold for testing small batches in order to sample new Fragrances. There is no waste, I get 3 perfectly sized and shaped bars and unmolding is so easy. COMMENTS: i loved this mold makes about a pound of soap.I used it to make a pound of orange 15x essential oil soap just loved it will order more of this little mold. great price too!!!! "Perfect for 4 bar batches!" COMMENTS: This is great for those little batches! I want to buy more! "Could you please advise which size of shrink wrap bag would be best for a single bar from this mold cut at a 1" thickness." Staff Answer We would recommend our 4 x 6 shrink wrap flat bag for a bar of soap this size. "I watched the video and am wondering what the little balls that are in the mold, do you sell them?" "How many ounces of oil should I calculate in soapcalc for this mold?" This hold 16 fl oz. So 15 oz should be good. Keep in mind your water amount also. To fill the 2lb I use 28 oz of oil. That fills it but if I want a heaping loaf I use 30 oz. so for this one 15 or more for heaping. I use the classic equation of L x W x H x .39 to figure the base oils (approximately 13.65 oz). Run through the lye calculator to find water weight. "How many ounces in each bar?" If you cut them into four equal 2 1/2" x 3 1/2" bars at 1" thick, they will be about 4 oz per bar. If you cut them thicker into 3 equal bars, it will be around 5.3 oz per bar. Keep in mind you can also cube the bars into minis or guest sizes. "Is the 4 x 4 dimension an outside or inside dimension?" Staff Answer There was and "oops" on the measurements that has now been corrected. The measurements are 3.5" wide x 4" long x 2.5" deep and this is for the inside of the mold. "What are the measurements of the mold (the interior)?"